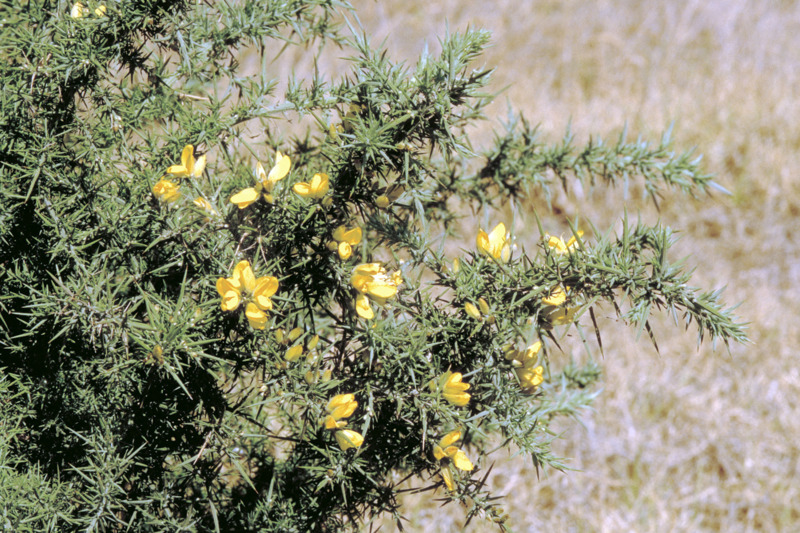 Control methods for gorse (Ulex europaeus) a declared pest in Western Australia. Information about this pest can be found on the Gorse: declared pest page. a training course on how to identify gorse and report it. training material that you can use to teach community groups how to identify gorse. Thorough wetting is essential. Seeds will continue to germinate for several years. Equal quantity of distillate mixed with triclopyr prior to adding water when mixing may also assist wetting. A 755g/L formulation also available. Use in restricted spraying areas. Wet foliage thoroughly. Repeat as necessary. Use in restricted spraying areas. Wet bush thoroughly. Repeat as necessary. Apply to bushes up to 2m tall. Thorough coverage of plant. Suitable for bushes up to 2m tall. Ensure spray penetrates thoroughly and covers whole plant. Other concentrations of glyphosate are available. Spray to wet all foliage. Burn after complete brown out. Roundup® Biactive or Razor® is preferred treatment in wet areas or along water courses near shallow water. Also add Pulse® wetting agent to this treatment. Picloram is residual and will affect growth of some broad leaved species, particularly Capeweed and legumes for several seasons. Permit required when applying within 5km of commercial vineyard or tomato garden.